Sea of Thieves is a Shared-World Adventure Game that immerses players in a rich, fantastical world filled with pirates, danger and discovery. Within this world, players can unleash their inner pirate, set their own goals and decide how they want to approach a life of freedom and self-expression. Players can journey solo, but Sea of Thieves has co-op gameplay at its heart. As part of a crew, you’ll scour the map in search of your next destination, weigh anchor and set sail in search of rival pirates, buried treasure or fearsome creatures – the choice is yours. Pirates thrive on their reputation, and whether you decide to be a noble explorer or cunning criminal, your character will show the telltale marks of a life at sea. Scars earned during battle, tattoos from distant ports and a unique ensemble of clothing and accessories will make your customized pirate truly unique. 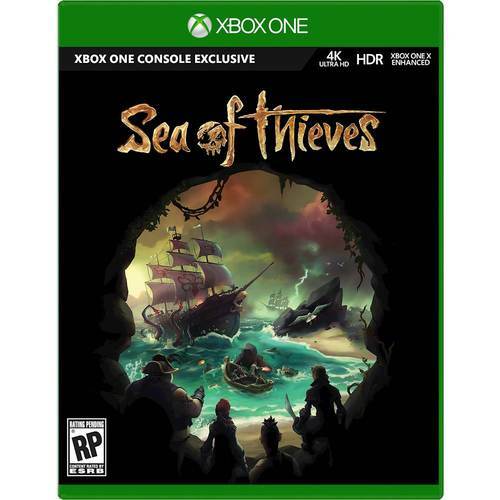 The Microsoft Sea of Thieves Xbox One Game was added to the Xbox One Games category in November 2017. The lowest price GetPrice has found for the Microsoft Sea of Thieves Xbox One Game in Australia is $41.00 from Mighty Ape. Other merchants who stock it are Mighty Ape, Amazon AU, Microsoft Store.